Peter Woodward is a British Contemporary painter and printmaker. 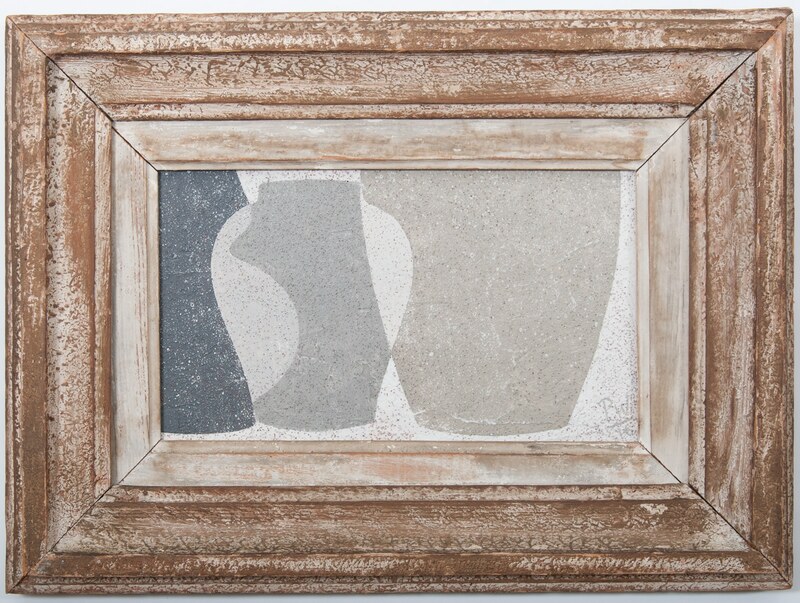 Woodward's arrangements of vessels, depicted principally in flat, neutral tones are primarily exercises in form and texture. 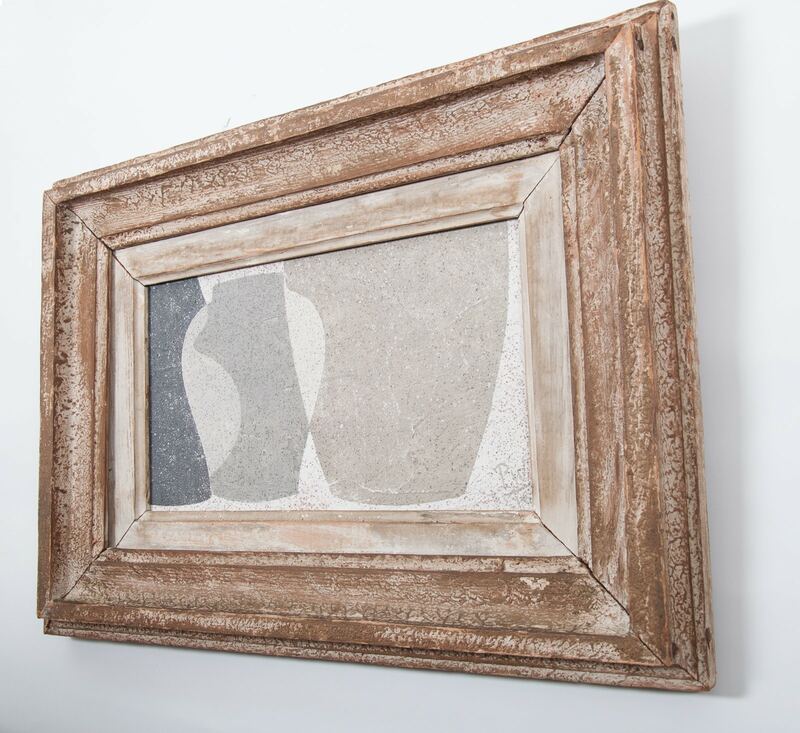 Antique and vintage frames are sourced, wooden panels prepared, coated with a mixture of gessoes, stone and pumice powder. A preparatory drawing, often using vessel shapes from memory, is first worked up on paper then transferred to the surface of the panel. 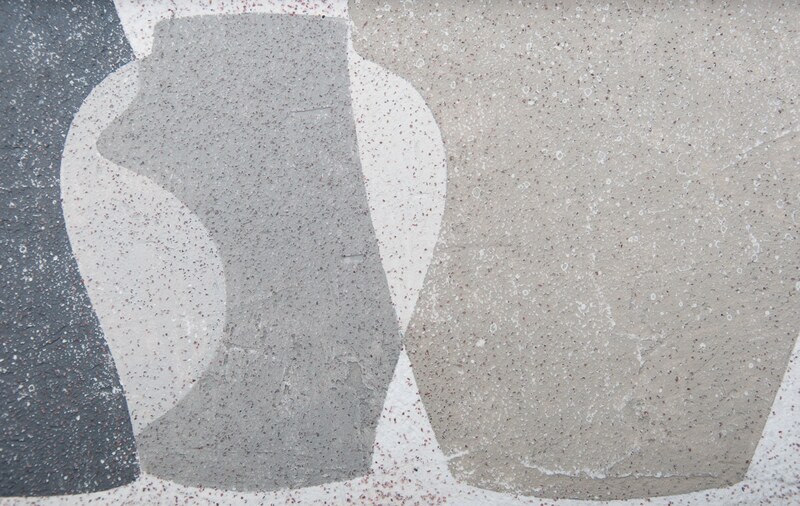 Layers of acrylic paint are painted, scraped and scrubbed until the desired effect is achieved. 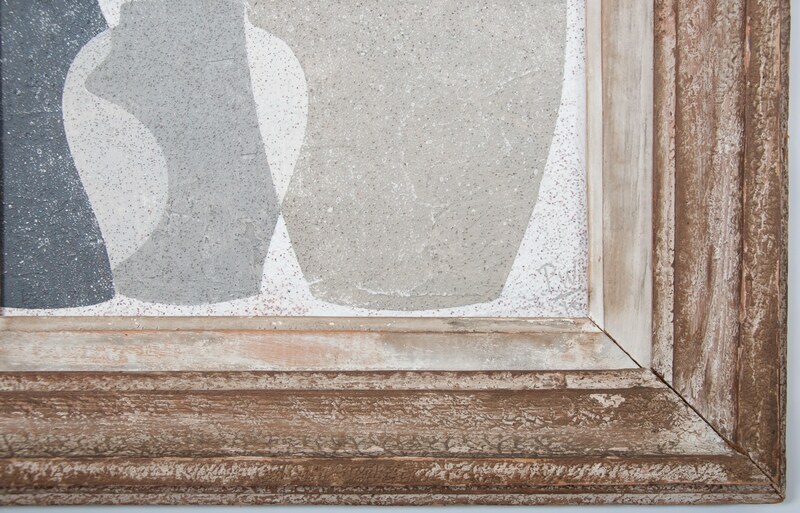 The old frames are often treated, glazed & distressed and become as much a part of the whole as the painting itself. Woodward currently produces between 15 - 30 paintings per year, he is currently experimenting with more still life, 3dimensional pieces and cutout works on paper.